Unnecessary repetition destroy our world one day. Limitation may change the end of the result. Lovely and beautiful! 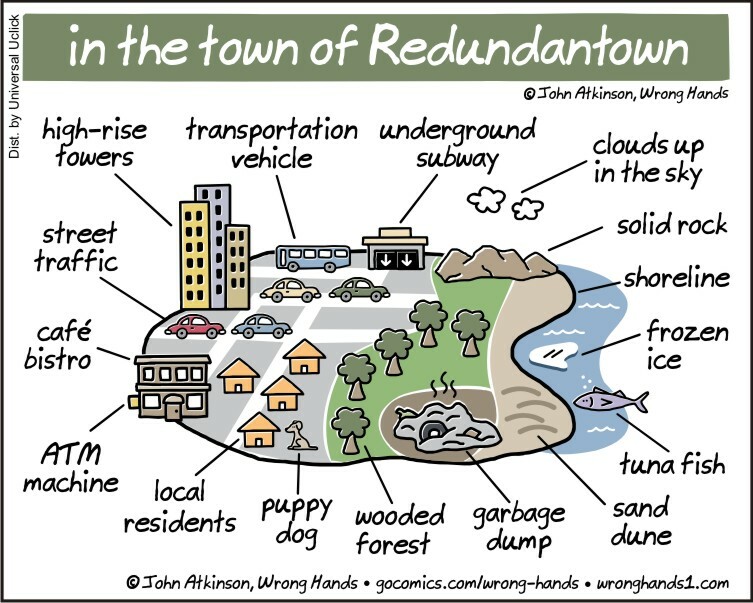 Sure it’s not Redundanttownville? Street traffic is contrasted with foot traffic. I am a hypocrite: some of these make me cringe so hard my nails puncture my palms (I pay the lady extra to make sure they’re sharp enough to draw blood), yet others not only don’t bother me, I say them.